Jillibean Soup-Shaker Card Sequins. Add some sparkle to your shakers, to your projects or even to your party decor! 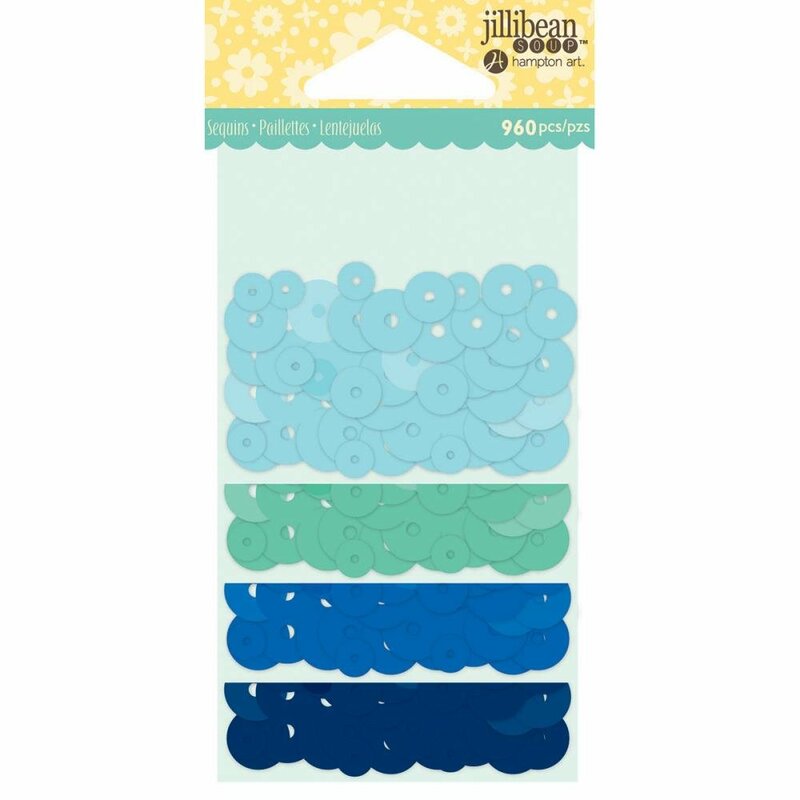 This 4- 1/2x2-1/2 package contains 960 sequin pieces total in four colors.